The logical reason the actress isn't planning anything right now. camera (Tim P. Whitby/Getty Images) Matt Bellamy and Kate Hudson attend the Novak Djokovic Foundation inaugural London gala dinner at The Roundhouse on July 8, 2013 in London, England. 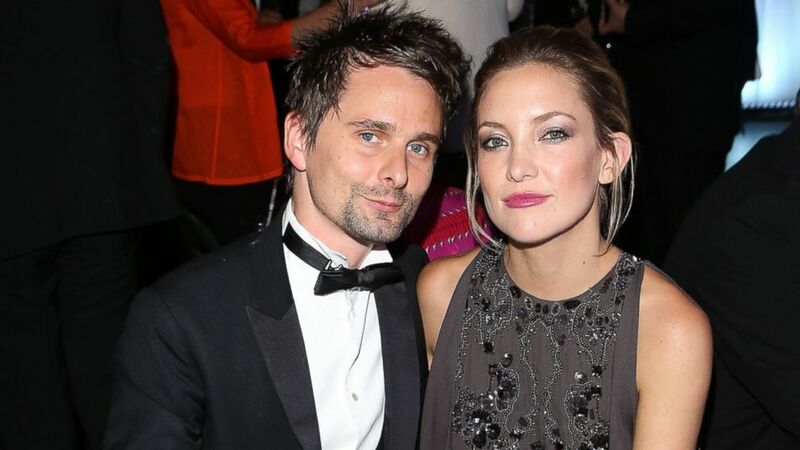 Kate Hudson is in no rush to get married to her fiance and Muse frontman Matthew Bellamy. The "Almost Famous" actress, who was married once before to rocker Chris Robinson, has watched as her mom Goldie Hawn and Kurt Russell have done just fine over the past 30 years without tying the knot. "I'm planning nothing right now," she said Tuesday on "Live With Michael & Kelly." "I'm so busy, we've been so busy, and it's been great. I come from an unconventional family -- they're not married, my parents aren't married." She continued, "There's a part of me that goes, 'If I'm going to do it, I'm going to do it right. I'm going to take the time to really plan it right.' And it's a lot. Planning a wedding is a lot." The "Wish I Was Here" actress, 34, affirmed yet again she would not be tying the knot "anytime soon." Hudson and Bellamy got engaged in April 2011 and they already have a son Bingham, 2, who was born a few months later in July. She also has a son Ryder, who she had with Robinson. "Ryder just turned 10, which is so crazy, and he's such a dude," she added.